Space Invaders! The title alone sounds awesome! 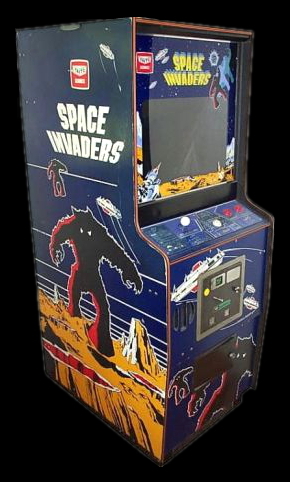 It originally came out in 1978 but I bought my arcade cabinet around 10 years later for 800Sek ($100USD). There was a huge difference though between the Japanese and Western version. 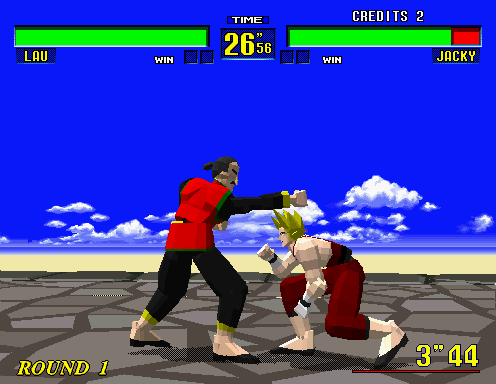 The Japanese version was a cocktail-table while the Western release by Midway was in an upright cabinet format. The upright cabinet is said to have strips of orange and green cellophane over the screen to simulate color graphics. My upright version had only the green color which colored the main player ship and barriers protecting the player. The graphics from the screen were then reflected onto a painted backdrop of a moon against a space background. The effect became some kind of semi transparent 3D which looked very unique and nice. I later sold the game which I probably will regret until the day I die. The arcade at the Liseberg amusement park are not to be forgotten. The biggest impression I've ever had in an arcade was a game from Sega released in 1987 called "Afterburner" in it's simulator appearance. You entered a kind of open capsule which moved in all directions according to how you moved your airplane. You had loudspeakers in stereo mounted in the seat which played powerful fitting music to the action. The feeling of the plane starting up and shooting off into the air was just awesome! The cabinet vibrated as the afterburners forced the plane through the runway up into the air. 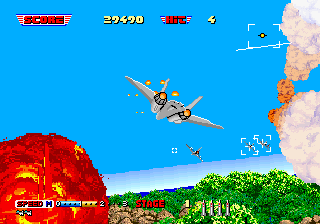 The action was fast paced with missiles shooting all around you and even being shot down, crashing into the ground, was incredibly cool as the whole cabinet was shaking! 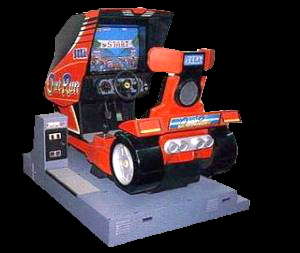 This was not the first really cool simulator from Sega. 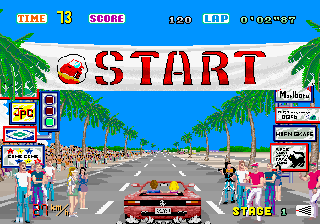 The earlier year 1986 Sega released Out Run which became a true classic. 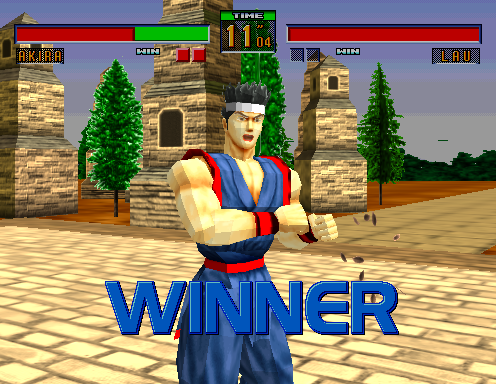 Next big impression was in 1993 when Sega released Virtua Fighter. To see a characters moving around in full 3D was really impressive. 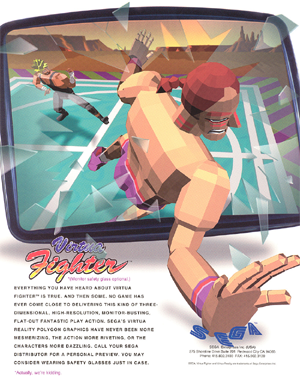 The models had no textures and a very low polygon count, but the animations looked very smooth. 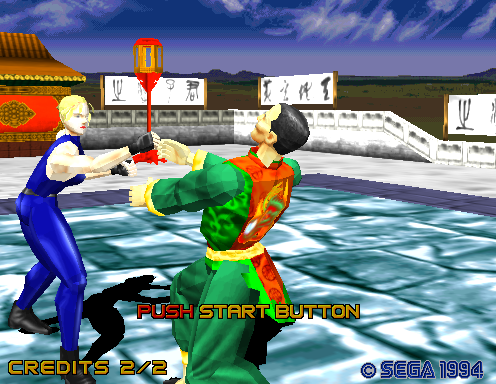 The last really big arcade impression came one year later in 1994 as Sega released the sequel Virtua Fighter 2. This time the resolution was higher and the polygons were textured.